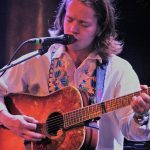 HEY EVERYONE I recently caught up seeing Mr. billy Strings if you’ll remember in Nashville at 3rd And Lindsley and you can read about that HERE. He is going to be making an Opry appearance on March 2nd, and I am planning on taking a ride down to see him perform if I possibly can. In addition to that, on June 20th he shall perform at the Ryman as part of Bluegrass Nights At The Ryman. Back in September we promised to release a new video on YouTube when we hit a daunting 3,000 subscribers on the Tube. At the time, we were at 1,200 subscribers or so, and are overjoyed to report that we surpassed our goal of 3,000 subscribers today! We’re so very grateful for your support in helping us achieve this milestone, and are happily posting not one, not two, but THREE new live videos as a token of our appreciation. We have some big plans for 2019, and you can surely expect some more action on YouTube in the near future. So, thanks for being here. Thanks for sharing, liking, upvoting, retweeting, bleating and herding.